Above, Yaksha is enjoy some sun & laying down. Yaksha has one of the biggest personalities of any cat I have ever owned! She is as sweet as she is beautiful. Perfectly rosetted from head to tail with no rib bars. Yaksha is a Silver Seal Lynx Point Bengal. She can have silver, seal lynx point, and brown Bengal kittens which makes every litter a wonderful surprise! She is an absolute delight, very playful, and a wonderful Queen! Please be sure to check back for updated photos & videos. 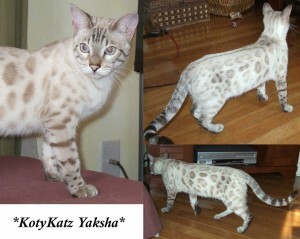 If you’d like to see Yaksha’s pedigree, please click here. How high can your Bengal cat climb? A multi-level cat climber is great for scratching, climbing, sleeping, and exercising! Can be mounted to the wall, or the back of a door. This multi-level cat tree will not take up half of the living room, and your bengal kittens will be very cute jumping from level to level. This is our upcoming queen Yaksha pictured here at 7 months of age. She is just the most beautiful silver seal lynx point I have ever seen. Yaksha also has a super loving personality and LOVES to play. Her biggest skill is jumping and will leap 5 feet in the air chasing her toys! 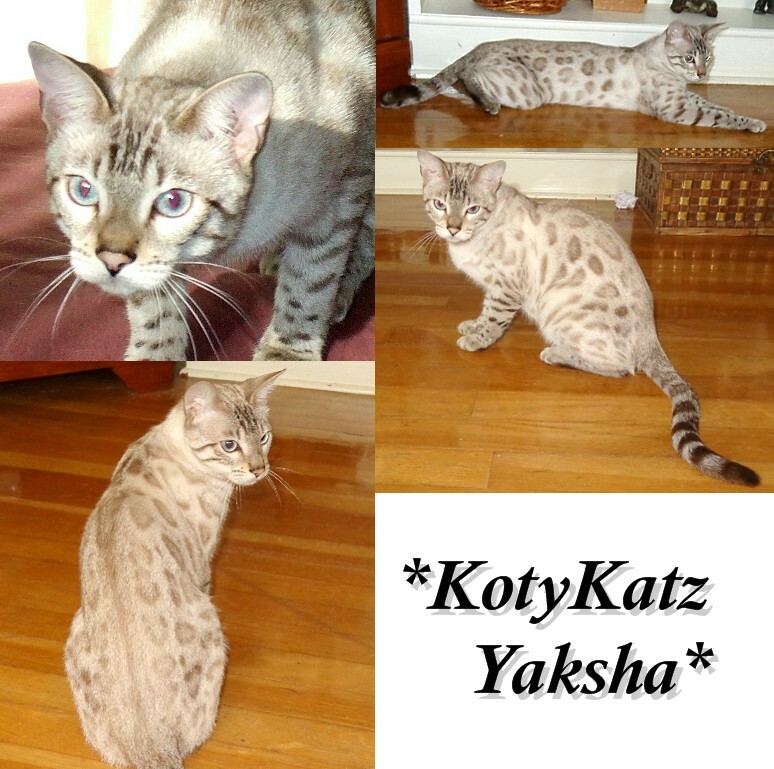 This entry was posted in Gallery, Reference Queens and tagged Bengal, Bengal kitten, bengal kittens, brown rosetted, Brown rosetted bengal kitten, seal lynx bengal, seal lynx bengal kittens, silver bengal, silver bengal cat, silver bengal kitten, snow bengal cats, snow bengal kittens. Bookmark the permalink.